A family friendly RV Park on Bear Lake! 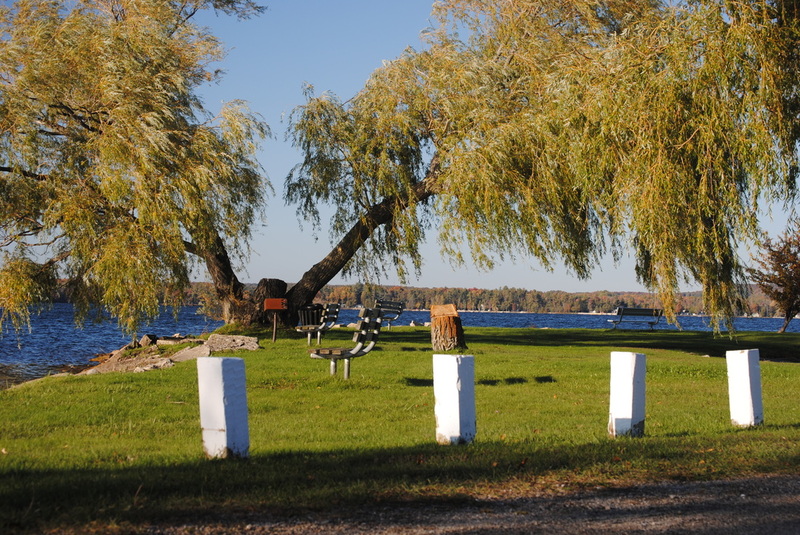 Hopkins Park offers 30 campsites. Bathrooms and showers available. Playground, swim area and picnic pavilion on-site. FREE WiFi at pavilion. Pets allowed! Season runs from April 15 to October 15 each year. OR call 231.383.2402 for reservations. DURING HOLIDAY WEEKENDS, BEAR LAKE DAYS WEEKEND, AND IN THE MONTH OF JULY, A MINIMUM OF A 3-NIGHT STAY IS REQUIRED. COIN OPERATED SHOWERS . A DIME FOR 2½ MIN. A QUARTER FOR 7½ MIN. TRASH IS PICKED UP DAILY. PLACE BAGS BY YOUR SITE POST. Deposit is half the amount of your stay. PAYMENT FOR CAMPSITE IS DUE 10 DAYS AFTER MAKING YOUR RESERVATION. Seasonal -cancellation notice less than 30 days of stay, 1/2 your deposit will be returned. Cancellation with 30 days or more notice, deposit will be returned less $25. Monthly - cancellation notice less than 15 days of stay, 1/2 your deposit will be returned. Cancellation with 15 days or more notice, deposit will be returned less $25. Daily - cancellation notice less than 7 days of stay, 1/2 your deposit will be returned. Cancellation with 7 days or more notice, deposit will be returned less $10. ONE FAMILY PER SITE – ONE CAMPING UNIT PER SITE. FIVE PEOPLE PER SITE. Campers may have 1 additional tent on their site for an added charge of $2.00. TWO VEHICLES PER SITE. NO EXCEPTIONS! VEHICLES PARKED IN EMPTY SITES WILL BE CHARGED A DAILY SITE RATE. ALL CAMPING UNITS MUST BE BACKED IN TO RESPECT THE PRIVACY OF THE SITE NEXT TO YOU. CAMPERS ARE ALLOWED TO ATTACH HOSES TO A CAMP GROUND WATER FAUCET FOR AS LONG AS IT TAKES TO FILL AN RV HOLDING TANK. HOSES MAY NOT BE ATTACHED FOR INTAKE USE. PLEASE DO NOT PARK IN THE FISHING-BOATING AREA. WE ENCOURAGE VISITORS TO PARK ON THE VILLAGE STREET AND WALK DOWN, UNLESS HANDICAPPED, ESPECIALLY ON BUSY WEEKENDS. PLEASE KEEP CAMPSITE WITHIN WHITE POSTS ON THE BACK PART OF THE CAMPGROUND. MOST AREAS OUTSIDE THE POSTS ARE PRIVATE PROPERTY. QUIET TIME IS FROM 10:00 PM TO 8:00 AM. KEEP PETS ON A LEASH AND UNDER CONTROL AT ALL TIMES. PETS ARE NOT ALLOWED IN SWIMMING AREA, PLAYGROUND, OR IN THE BATH HOUSE. PETS SHOULD NOT BE ALLOWED TO LIFT THEIR LEG ON THE WATER POSTS!! THEY MAY BE TIED TO YOUR RV OR A STAKE. DO NOT TIE TO THE TREES. CAMPERS MUST CLEAN UP AFTER THEIR PETS!! PLEASE KEEP FIRE IN THE FIRE RINGS. DO NOT LEAVE FIRES UNATTENDED OR MOVE FIRE RINGS. DO NOT PUT DISH WATER OR GARBAGE OF ANY KIND IN FIRE PITS. NO TRIMMING OF THE TREES. IF THERE IS A PROBLEM, SEE THE CAMP HOST. THE CENTER GRASS AREA IS FOR BOAT TRAILERS ONLY! MOTORCYCLES MAY BE USED ONLY FOR TRANSPORTATION TO AND FROM YOUR CAMPSITE. NO ATVs ARE ALLOWED. MANAGEMENT WILL NOT BE RESPONSIBLE FOR LOST ARTICLES, DAMAGE TO PERSONAL PROPERTY, OR PERSONAL INJURY. WE ALSO RESERVE THE RIGHT TO REMOVE ANYONE FROM THIS CAMPGROUND. ANY PERSON ASKED TO LEAVE BASED ON THE USE OF PROFANITY OR VIOLATION OF THE RULES WILL NOT BE ENTITLED TO A REFUND.